Creating a corporate culture where all employees are highly engaged in their work and feel integral to the workplace can be a challenge for any company. Often, company leadership may not even be aware that there are any issues at all with their employee engagement levels until the company starts to underperform. Even with a good understanding of how engaged or disengaged employees are, it can be challenging to know how to make improvements. If creating an engaged and productive workforce is a key improvement goal for your company, it may take some small tweaks or even major overhauls to the culture as it currently stands. Here are some aspects of your workplace culture to examine, and some ideas of policies to implement to help improve employee engagement. In order for an employee to feel like their work is vital to the health and success of their organization, it’s important to give them a clear picture of what success looks like. If your company doesn’t yet have a mission statement, or if the one you wrote a decade ago no longer feels relevant to the focus of your workplace today, spend a few hours working with company leadership to define a vision. A mission statement, at a minimum, should include what kind of service you hope to provide to your customers and what problem you hope to solve. It’s also a good idea to include language about how employees should feel at work or how your staff will relate to one another. This sort of document may seem like another piece of corporate jargon, but having a vision to work toward can be incredibly useful for employees. It sets the tone for their daily activities and gives them crucial context so that even the more tedious aspects of the job take on an air of importance. If you work for a larger company and want to take it even a step further, it can be useful for individual teams or departments to work together to create an even more narrowly-focused mission statement. The process of working together to define what success looks like for the team—from hard numbers to how individuals will be treated— will give individual employees a feeling of ownership for those goals, and will help teams solidify. Your employees are more than just workers who can help you meet work goals. They’re humans with personal lives, goals, senses of humor, challenges, families and friends. Everyone likes to be known and feel important. When your employees are welcomed and appreciated, and know that they’re contributing to the success of their team, they’re more likely to want to give their best efforts to their work. Celebrating work-related achievements with a personal note or comment, or giving public praise when appropriate, is a time-tested (and completely free) way to improve employee engagement in the workplace. Better yet: take it a step further and recognize your employees for more than just what they do at work. Remember and acknowledge or celebrate milestones in employees’ personal lives. Observe birthdays, important work or personal anniversaries, weddings, births of children or grandchildren, and take time to offer condolences when necessary. Help them meet their own career goals by supporting personal projects or providing mentorship opportunities. This may also mean allowing employees to move laterally within the company. It’s easy to pigeonhole people into the role they were initially hired to do, but if they find they’re interested in moving to a different position/department, it’s a good idea to work with them to help them move that way. 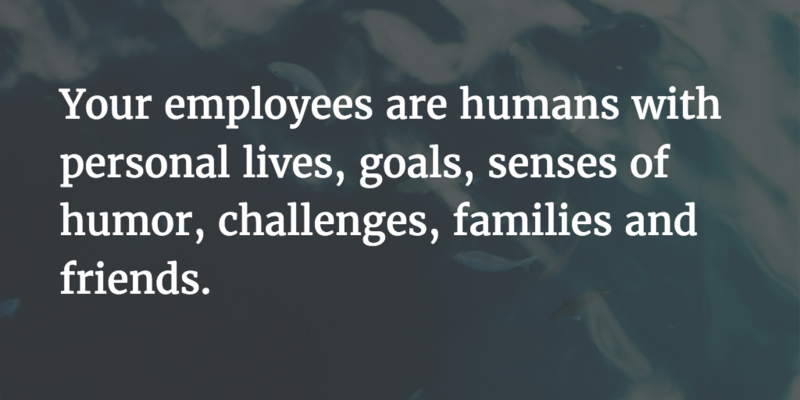 Whatever it looks like for each individual person, nurture the excitement and engagement you see in your employees. Help them find how to put it to use in your organization, or they’ll find another workplace that will. Before you call a meeting, ask yourself: could this be accomplished with a quick email? Meetings take up valuable time, but they also break an employee's’ “flow,” and interrupt actual work. If you absolutely must have a meeting, keep it short, and only include those who truly need to be there. Respecting employee time during work hours is a great way to show respect, but respecting their personal time is even more crucial. Emphasize a work-life balance by encouraging your employees to have a personal life and limiting any incursions into their personal time. Consider implementing a “no emails after 5 pm or on weekends” rule, and strictly enforce it. Employees may feel they need permission to unplug from their work responsibilities, and they look to their company leaders to set the tone. Insisting that everyone take those hours at the end of every day and week to recharge their batteries and enjoy time with family can create a culture that employees love. It’s also a good way to ensure that you’re really getting the best out of your employees when they’re at work; refreshed and well-rested employees produce much better work with many fewer mistakes than bedraggled and burned-out employees do. 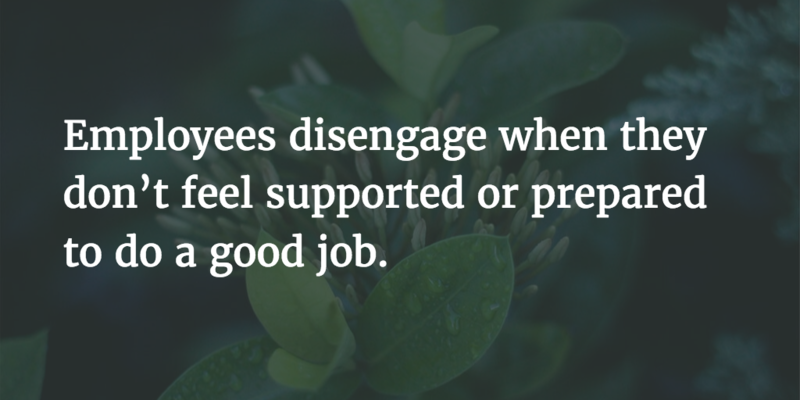 One major driver of employee disengagement is employees who don’t feel supported and prepared to do a good job. Starting with the onboarding process, make sure that your training experiences are high-quality and respectful of employee time. Create training opportunities throughout the year that allow employees to develop their job skills, and update them regularly when there are new best practices in your industry or technologies that might impact their jobs. Managers should also regularly check in to make sure employees have adequate and functioning equipment. If they find that they don’t have everything they need, do they know who they should talk to, and how long it will take them to get the situation handled? Feeling unable to do a good job because of easily-fixable circumstances can be demoralizing and quickly turn an engaged employee into a frustrated, burned-out worker. Giving and receiving feedback is an important way to strengthen your relationships with your employees. Be honest with each individual person on your team about how they’re doing. Build this into weekly or monthly conversations; don’t wait until it’s time for an annual review to offer encouragement or redirection. 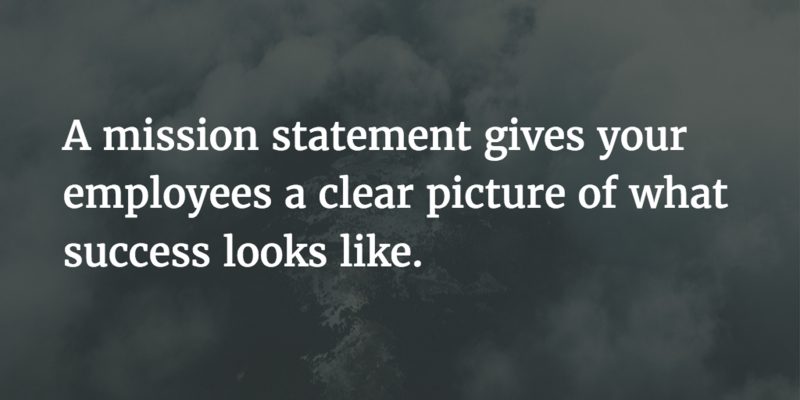 Also provide employees with ample opportunity to be honest about what they’re experiencing at work. Send out employee engagement surveys regularly and really incorporate the feedback into the planning process. 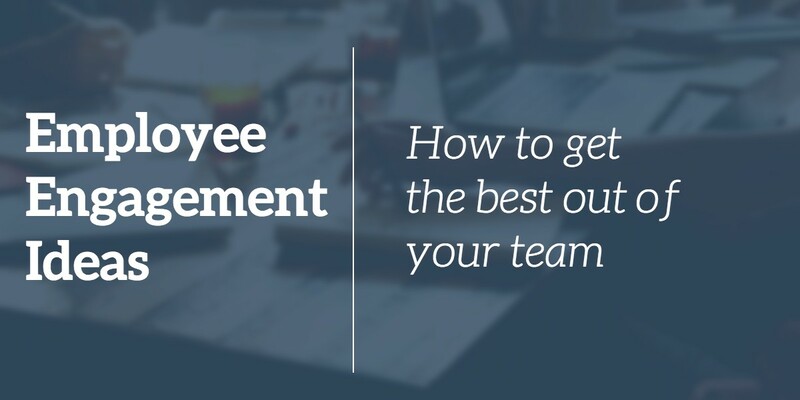 Use the results to set goals about how to improve the employee experience and re-engage employees who aren’t feeling adequately prepared, trained, or valued to do their best work. As with any improvement process in a company, these fixes aren’t easy or quick, but taking time to build a culture where every employee feels valued and empowered to contribute to a larger goal is an investment in the overall health and success of your organization.